Summer is around the corner, and so is our Bikini Roadshow! We had so much fun last Summer, that we've signed up for a whole season at the Riis Park Beach Bazaar! Come by, shop bikinis, sip on a frozen rosé, and bask on the boardwalk 'til the sun goes down! We'll have brand new goodies from our Summer collection and some fresh new faces at the booth too. Mark your calendars, and of course, don't forget to tell your buddies. 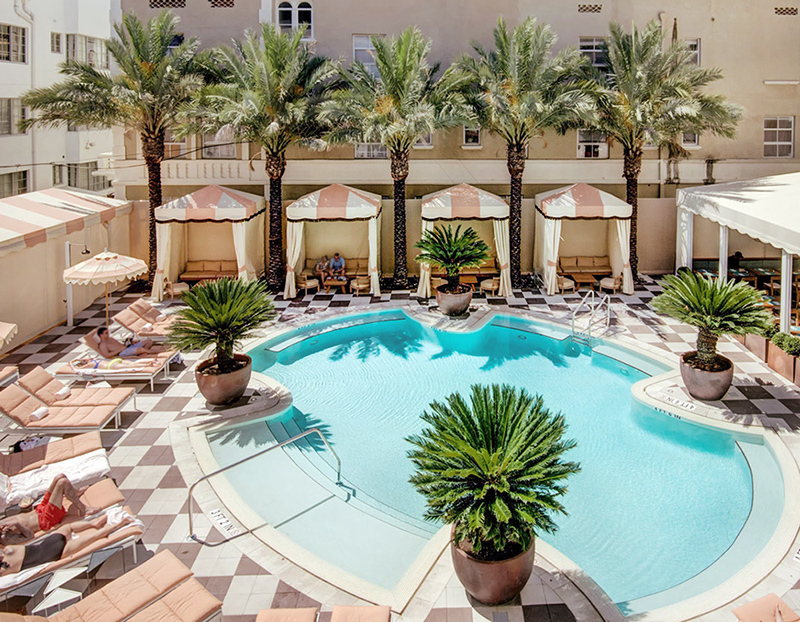 Join Novel for a poolside trunk show at the Plymouth Hotel in beautiful Miami Beach. Is this place #instabeautiful or what? We'll be parked poolside under a pink + white cabana. Come by, shop, and say hi. We'll be in good company with Mersur muse, designer Sarah Shirley, who will be showcasing her latest resort kaftans, scarves, and accessories. Shop kinis, sip vino, and mingle with Novel and our babe Mersur at Roam Miami. We'll be showcasing goodies from our latest collections and having a grand ole time, so you won't wanna miss out. The Bikini Roadshow hits the Montauk Beach House tomorrow! Whether you're staycationing in the Hamptons for the week a la Blair Waldorf or just hitting up MTK for the day, we've got your bikini fix. Walk, run, or cross legged jet ski to us. We'll be hanging poolside by the cute lifeguards all afternoon long. What happens when you pair Novel Swim and Mandalynn Swim for a weekend at the Riis Beach Bazaar? A Bikini Roadshow with double the pleasure and double the fun! Join us this weekend and meet our buddy, Mandalynn designer, Amanda Dukehart! Get your Summer swim wardrobe refresh STAT. We'll be slinging bikinis all day long! Clean beaches are the best beaches. Join the Bikini Roadhsow this Saturday at the Riis Beach Bazaar, as we join forces with BEST and Surfrider NYC for a beach cleanup! Stop by anytime after 10am to shop kinis and tan those buns. Then join us at 3PM at Low Tide Bar where the first 40 people will get a free-beer-wristband and be outfitted with trash-pick-up paraphernalia! We'll then hike to Rippers and Caracas--cleanin' up along the way--and then we'll head back to Low Tide Bar for brewskies, jams, and plastic-free merriment. Major thanks to Alison Matheny, brainchild of BEST and Mia Fabbri for organizing this amazing shindig! See y'all at the beach!! The Bikini Roadshow is in full swing at the Riis Beach Bazaar! Come sun your buns with us all weekend long and shop brand new swim from our 100% Fresh Collection. We've got your recipe to beach glam down pat. We'll be joined by our very own Mersur muse, designer Sarah Shirley, who will be kicking it with us and showcasing her line of killer kaftans. Headed to the Hamptons? Trekking to Montauk or Fire Island? Make a pit stop at the ultra-chic Seilenna boutique in Bellport, NY where we will be selling our wares July 1st - 4th. Stick around Sunday July 2nd from 9am-4pm and meet Novel designer, Laura Rosenbaum, as she debuts the new Summer collection. Didn't make it to the pop up, but headed to BP? No worries, you can find select items from the new collection available in shop! Sandy runways are always more fun, so…drumroll…we’re packing our bags and heading to sunny South Beach Miami! Stroll on down Ocean Drive and join us at Nikki Beach to watch Novel babes walk the sandy runway in chic kinis by Novel Swim, silky kaftans by Mersur, quoteable totes by Poolside Bags, and sunnies by Crap Eyewear. Sip on that mimosa and shop swim, cover ups, and other beachy goodies all day long. Ooh, and if that wasn’t enough, there will be gift bags with goodies from Essie Cosmetics and more. Hey Southern Belles! We are teaming up with The Brandshop for a stellar week long pop up in Charlotte, North Carolina! Join us and other super fab emerging women designers for this chic, pre-holiday shopping event. Shop your fave Novel pieces, schmooze with designers, and get holiday gifts for everyone on your shopping list. We're excited to announce that we will be offering custom embroidered kinis by our girl Hilary J. Corts! (If you aren't in Charlotte, but you are interested, you can inquire about getting a pair by emailing us at hello@novelswim.com). This event is open to all you lovelies--aka open to the public. Click here for more time and location info. Before boozy brunching, SoulCycle, and Netflix became Saturday staples, fine ladies would spend their Saturdays flocking to SALONS. Salons were held by inspired hostesses and brought people together to shop, booze, and revel while engaging with the exquisite newness of the day. Novel will be joining fellow bud brands to unleash a little bit of the tropics in downtown NYC. This holiday pop up will include Palm Trees! Bikinis! Kaftans! Booze! Jewels! Hammocks! Beauty goods! Prizes! And more! Come stock up on all your faves for that sweet holiday vacay you've been planning. Brand partners include: Chic coverups by Mersur, festival jewels by Stella & Dot, beauty essentials by Beauty Counter, metallic tattoos by TribeTats, bespoke ready-to-wear by Goldie NYC, shibori athleisurewear by Hanoux, and more. Sip on refreshing beverages by ZICO Coconut Water and Cliffton Dry and nosh on picnic inspired yummies by Table of Contents. More juicy deets to come. SPACE IS LIMITED... RSVP early at here or email hello@novelswim.com. Hey LA! Novel is coming to Melrose Place. Join us during LA Fashion Week as we hook up with celebrity showroom LOOK LA and AMCONY for a two day pop up. 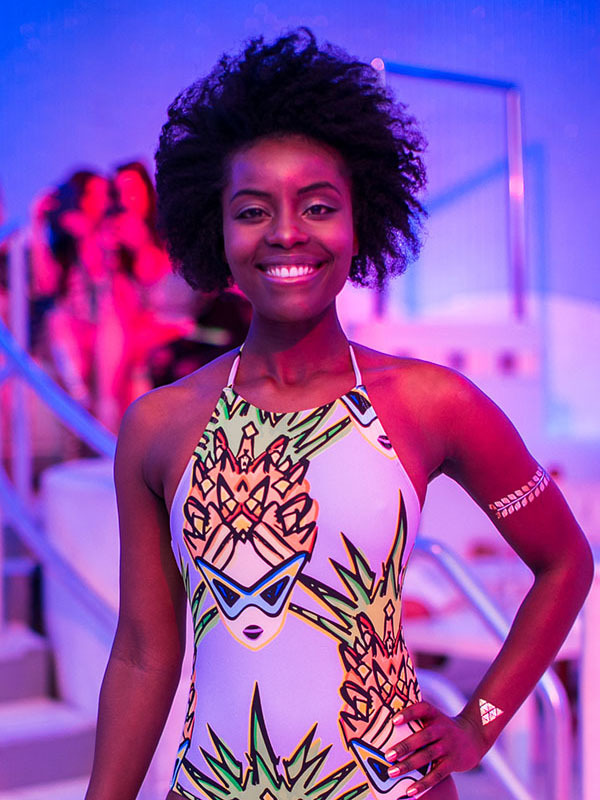 Sip champy, schmooze, and try on Novel bikinis. Summertime wouldn't be the same without WEENIES + WOMYN. Join the roadshow on Saturday, August 20th as we engage with the boyz. We haven't forgotten about you fellas. 8/20 is our beach promenade. We'll be celebrating with the gents by selling special weenie tats, boy merch, our spiftacular bikinis, and summer tees. We're pumped to announce that our male chromosome partner will be Bermies! Get busy all day long with jams by DJ Dirtyboogie of Get Summered. Join us on Saturday, August 13th as we fire it up at the Poolside Collective at The Montauk Beach House. We'll be bronzing and serving up brand new kinis from our second collection as well as stellar beach goodies by BEST. Ahem...and to top it off, we're also going to have a killer SWEEPSTAKES PRIZE—a Novel bikini, Poolside T-shirt, and BEST keychain—for one lucky mademoiselle. Beverages by ZICO Coconut water will be in full abundance, so come on over and take a dip with us. Come on down to the roadshow on Saturday, July 23rd for round two: BOOTY POPS. Pop it like it's hot, because we're celebrating all things booty and pop on this fine day. We'll have photo babe, Stacey Lamb, womanning up the first ever #Belfie Booth--yeah you heard that right. We'll also have brand new bikinis from our second collection in addition to super cute, beach goodies by BEST. We're also excited to announce that the fabulous hair artist Desiree Ochs will be joining us for part deux to serve up more killer braidz. Buy some tats, lick on some lollies, and shake it all day long to pop beats by DJ Dirtyboogie of Get Summered. Join us on Saturday, June 4th, as we kick off the first day of the Bikini Roadshow with GET LITE. Come hang with us all day. Try on bikinis, check out our beachy tees, and get in on some cute summer merch. Check in at 6:30pm for our sunset yoga sesh and enjoy chill tunes spun by DJ Dirtyboogie of Get Summered. Purchase yoga tix HERE and get a free mat from zico coconut water. We'll also have braidz by hair artist Desiree Ochs, so you can get those beach waves in check and look fly all day long. Novel and BEST invite you to our first ever Bikini Roadshow! Get turnt up with us this Summer at the Jacob Riis Park Beach Bazaar, and join us for bikinis, summer merch, hair braiding, yoga, cute tats, and more fun under the sun.